The color of a product can influence a consumer’s purchase decision by as much as 90%. In fact, a consumer who likes the product’s colors will decide to buy it within minutes of seeing it. That’s how colors can influence buying behavior so much. After all, color impacts the way our brain work. It can make us feel at ease and relaxed, or it can render us anxious and worried. So that thing about home buyers willing to shell out $6,271 more for a house with a charcoal front door? That’s color psychology at work right there. So, when painting your house, hues, tones, tints, and shades are primary considerations. But that’s not all – there are several other factors to consider. Don’t worry though. We’ll cover all these in this guide on how to paint house exterior, so be sure to keep reading! As a resident of St. Louis, MO, you know how diverse the city’s architectural style is. From Neo-Classical to Greek to Italianate to Romanesque to Gothic, the city has it all. These stunning building designs have given St. Louis its characteristic for architectural flair. Our point is, you need to think of your home’s architectural style in order to paint it right. When painting a house, one has to consider which color palette works best for which style. For starters, warm colors are always great for classics. Warm beige with a touch of bright white is a good color combination for classic-styled homes. Dark gray that tones down to a lighter shade also works for homes in this category. If you’ve got a modern-styled home, you may want to opt for cooler colors. Gray also works in this case, but so does blue and black. Still unsure how to come up with the best color combinations? In this case, your safest bet is to work with pro painters. Not only can they help you choose the best colors – they’ll also ensure the paint job is flawless. By now, you’re likely all excited to start painting. 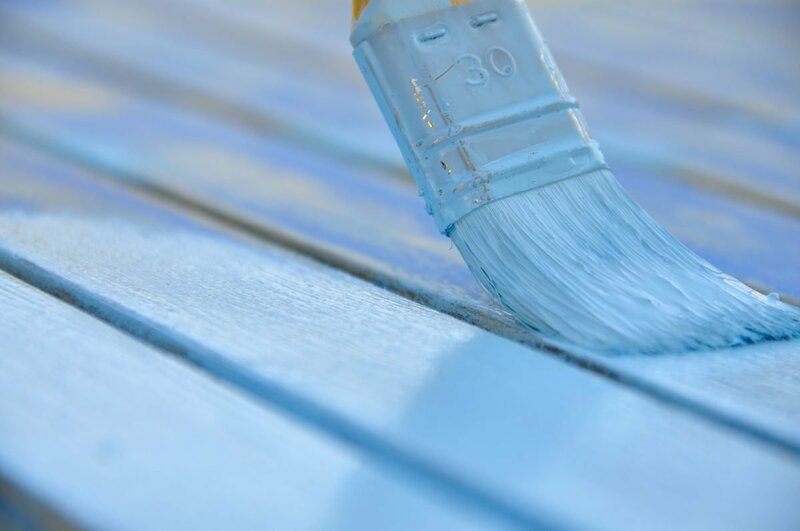 But before you shell out money to paint your home’s shell, make sure you prep the exterior walls first! Nothing can kill a fresh coat of paint faster than dirty, flawed surfaces. So, look out for damages like chipping and peeling on the exterior walls. Also, don’t paint over mold and mildew. Get rid of them first with some bleach and chlorine. Paint over them, and it’ll only cause the paint to form bubbles sooner. That means you’d need another fresh coat of paint – and more $$$ – sooner. Before dipping that roller into a tub of paint, get those exterior wall cracks and chips fixed up first. Even hairline cracks can lead to a poor-looking paint job. So, seal all these damages with caulk and make sure you let it completely dry before you start painting. Final tip on how to paint a house right: Time it right! The last thing you want is to have rain ruining your hard work. Avoid wasting your money and effort by checking the weather forecast. Early fall is often the best time to do exterior paintwork, so, take advantage of that time frame!